With the Yorkshire property market more active than at any time since 2007, Hunters, the UK’s fastest growing independent estate agency group, has expanded its reach in the county, by opening a new office in Chapeltown, Sheffield. As reports of homes across the county attracting more interest and offers from a number of parties, Chapeltown, an area popular with commuters and families looking for affordable homes still within easy reach of the city centre and M1, is the latest area in the Group’s heartland targeted for strong growth. 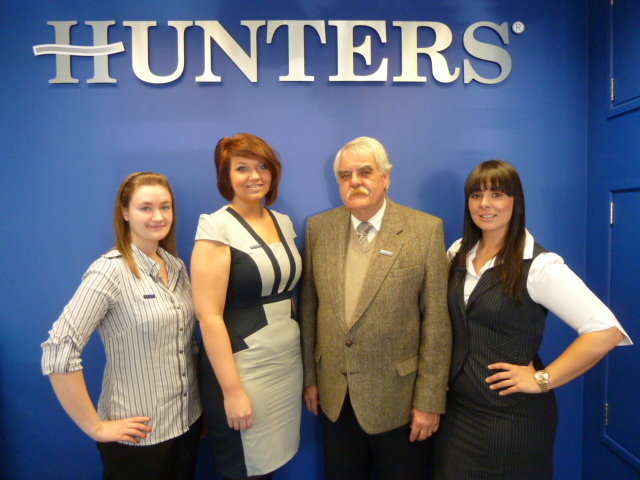 Having opened its first branch 21 years ago in York, Hunters now has over 100 branches nationwide, with a stronghold in Yorkshire and other branches across Sheffield in Crookes, Hunter’s Bar, Woodseats and Stocksbridge. Hunters is a prominent and well-respected force in the county, offering expert local advice to those looking to buy, rent, let or sell a wide range of properties. Barry Upson, the new franchisee of Hunters Chapeltown, has run his own successful and well established family lettings business, Big Fish Lettings, since 2003, initially in Rotherham and then branching out to Sheffield in 2008, with a portfolio covering the whole of South Yorkshire. By taking the opportunity to join the Hunters Network, the team now offers a full sales service for the first time in its history – an area that Hunters is confident will grow as the market continues to strengthen. Barry comments: “Our business has and always will be family run, but as the market continues to pick up pace, it seemed the perfect time to join the Hunters network and offer a complete sales and lettings service. With improved mortgage lending figures and attractive deals on offer, we have been encouraged to see first-time buyers making a comeback. Next year will also see the launch of the second tranche of the Government's Help-to-Buy scheme which should further bolster the property market. All-in-all, 2014 will be a good time to buy or sell a home. If you’re interested in finding out more about the services that Hunters Estate Agents Chapeltown offer, call the team on 0114 257 8999 or visit the branch at 1 Station Road, Chapeltown, Sheffield, S35 2XE.